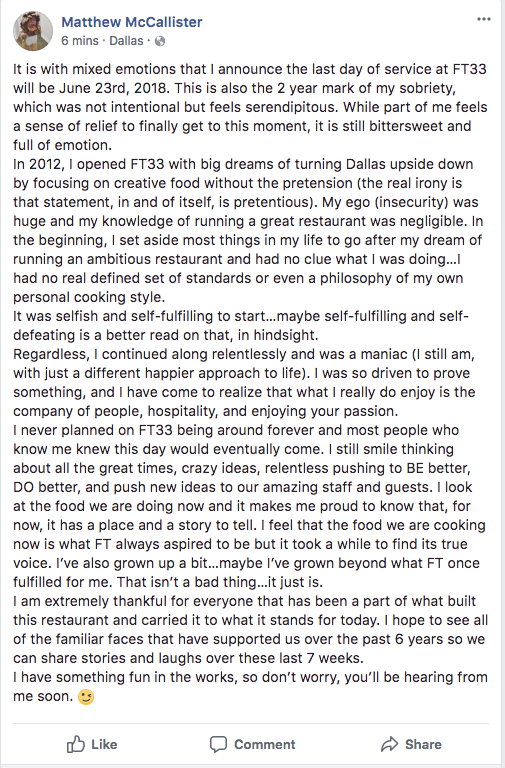 FT33 chef/owner Matt McCallister. Photo by Kevin Marple. There's still time to say goodbye.